Muslims of Thandwe being killed by Rakhine extermist groups. 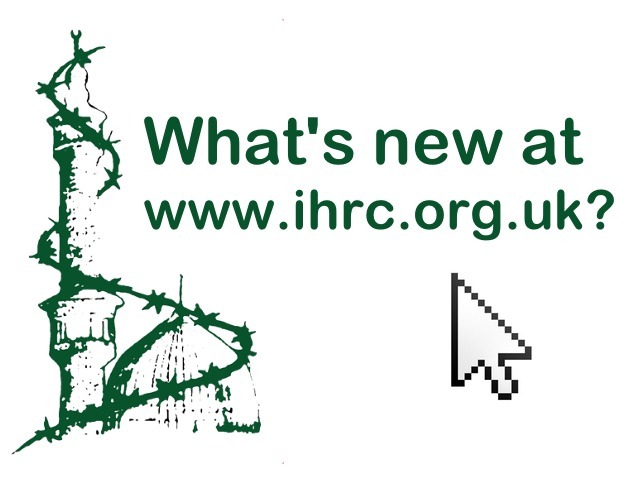 IHRC condemns confiscation of family home of Muslim man convicted of terrorism offences. The Islamic Human Rights Commission (IHRC) strongly condemns ongoing attempts by Greater Manchester Police and the Crown Prosecution Service to confiscate the family home of a Muslim man convicted of terrorism offences. IHRC will be distributing Eid packs for Eid al-Adha to Muslim prisoners. The story of Mumia Abu Jamal who has endured 30 years of death row isloation and prison brutality. Talha Ahsan is a British-born poet with Asperger syndrome extradited to the US in 2012. How complaints procedure reinforce structural racism in the media. IHRC has argued for many years about the need for there to be a sea change in the way media operates in the UK. In its seminal work The British Media and Muslim Representation: The Ideology of Demonisationby Saied R. Ameli, Syed Mohammed Marandi, Sameera Ahmed, Seyfeddin Kara and Arzu Merali (2000), the authors argue that just as views on other minorities, whether ethnic or religious, or defined by gender or sexuality, so too a significant shift is required vis a vis Muslims but also other groups who still face direct and indirect discrimination, demonisation and marginalisation by the media in the way they are represented. Britons are to mark anniversary of Talha Ahsan’s extradition to US. British campaigners are to stage a protest in central London to commemorate the one year anniversary of the extradition of British-born poet and writer Talha Ahsan to a US Supermax prison where solitary confinement is employed as standard practice. IHRC’s chairman Massoud Shadjareh and Mohammed Ghanem in Geneva. Hajj, the pilgrimage to the city of Mecca and one of the greatest religious observances in Islam. We have items for Hujjaj, more general works on Hajj for anyone interested in the meaning and philosophy of the pilgrimage and gift ideas for Eid. You can make orders online, over the phone or just come in to visit us. We can post the purchases you make in time for Hajj – so start ordering! We also have Eid cards such as these which you can give to your friends and family. A practical and helpful guide that covers a complex subject in a straight forward and comprehensive manner. The author’s insights and observations, coupled with selected charts, maps and diagrams, help to prepare you for both your stay in Saudi Arabia and sacred Pilgrimage itself. The annual pilgrimage to Makkah was established by the Prophet Muhammad in the last year of his life (AD632). Over the following centuries the experience and importance of Hajj have been evocatively documented in countless ways. Highlighting the pilgrims’ journey across time, the sacred rituals of Hajj, and the city of Makkah itself, this beautiful little book features illuminated manuscripts, wall paintings and photographs, as well as calligraphy, textiles, scientific instruments, decorative tiles, maps, ceramics, metalwork and powerful works by contemporary artists. The annual ritual pilgrimage to Makkah was established by the Prophet Muhammad in the last year of his life (AD 632). What follows in this short book is a glance at the secrets of the Hajj, as expounded by the great scholar and teacher of Akhlaq (Islamic Etiquette) and `Irf an (Mysticism) Ayatullah al Hajj ash Shaikh Husain Mazaheri, presently living in Isfahan, Iran. Hajj is one of the obligatory acts in Islam, which must be performed by each and every Muslim who is able to at least once in his or her lifetime if certain conditions are fulfilled.